Entirely Unoriginal: New experiment, Day 1: The No-Poo Move! 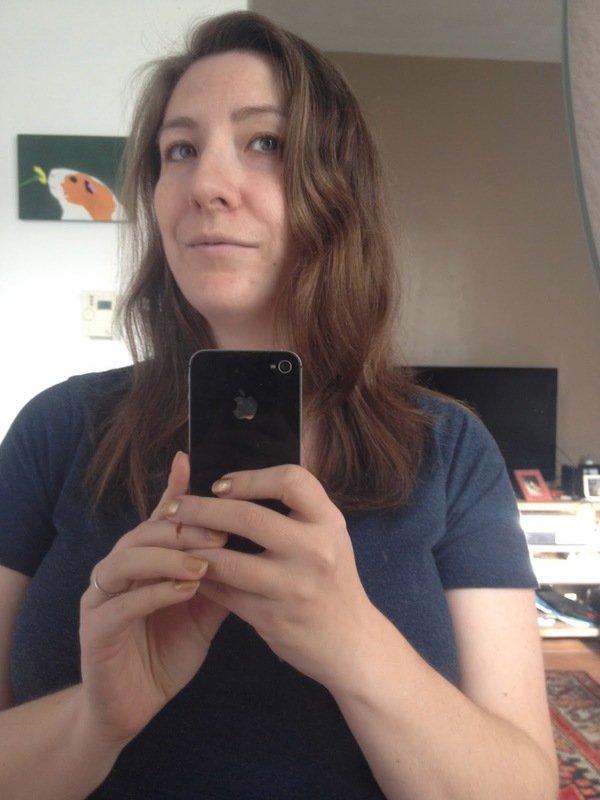 New experiment, Day 1: The No-Poo Move! I don't know what it is about being over here that makes me want to try new stuff - aside from the crushing boredom and loneliness - but my year in France has been a spontaneous time of trying new things (or, tried and previously abandoned things). The French language, baking, nail art, journaling, retro hairdos, makeup tutorials, sewing....these hobbies have all crossed my path. And now, not yet a full month into 2016, I am starting yet another new experiment: No Poo. So here on Day 1, it was time for the first Baking Soda wash and Apple Cider Vinegar rinse! I used one "dessert spoon" of baking soda in 1 cup of water as my washing agent, and I'll be honest, I was extremely nervous about whether it would actually get my scalp and hair clean. Not having those familiar, comforting suds calling out, "Look! I'm cleaning you!" was strange, and so I massaged my scalp for a minute or so and then waited another minute or so before rinsing it out. Then came the 2 Tablespoons of ACV in 1 cup of water as the rinse/conditioner. 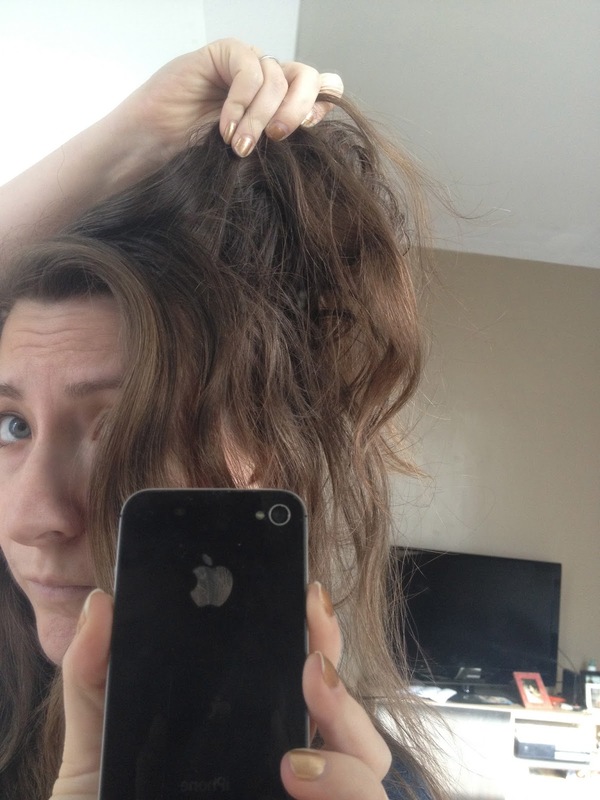 I also let it sit on my hair for a minute or so before rinsing it out in cold water. And finally, the moment of truth: I unwrapped my hair from its towel and grimaced. Is it just wet, or still greasy? What is it going to look like dry?? OH DEAR LORD WHAT HAVE I DONE?? ...but UGH - that grease! To be honest, now that it's dry, I'm seeing not-so-great results. 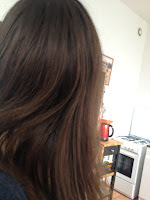 The top layer of my hair looks fine - clean, normal, even a bit wavy in places - but underneath is a different story. It's grease city under there. I'm thinking that my hair might be too thick to just pour a cup of water on...next time maybe I'll double the recipe, or use a spray bottle and lift my hair up in chunks so I can really get it all over. Dang! I was really hoping for a great first time (aren't we all? WINK). I really have no patience for the learning process, but I guess I'll have to deal with it. Or just go back to normal shampoo. And why this particular experiment, you wonder? Well, friend, I'm not sure how to explain it. Perhaps I have always been a dirty hippie hiding inside a corporate monkey's body, just waiting to burst out in all her glory; perhaps the EU regulation of chemicals in food and personal products has leached ever so ironically into my consciousness. In fact, it's getting so serious that I'm planning a trip to the local organic/health food store to look for ingredients for homemade deodorant, body wash, and toothpaste...dear God....I AM a hippie now!!! Damn you, France! Damn you!!!! But then again, if these next experiments all go as poorly as this first attempt at No Poo, I'll be back on the corporate spending treadmill in no time.